The Columbus, Ohio Heart of Ohio tournament shows no signs of slowing down as 42 teams participated in the Berliner Park event. 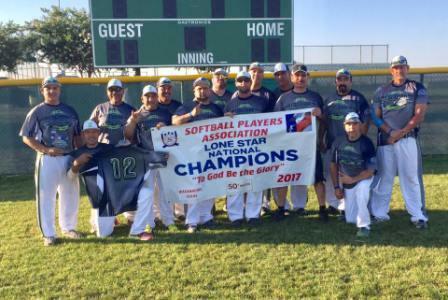 Eight champs were crowned in the 6/21-6/25 tournament. The Dayton Legends WHC started the titles flowing winning the 75+ division besting Akron 75's 28-14 and 16-9. Central Ohio COSSA was third. The five-team 70 bracket saw another Dayton team take home the bacon with the Legends 70's finishing on top. Second place went to Lifeguard Financial/Pepco followed by Central Ohio COSSA 70's, Frickers Sports Bar and the Dayton Legends Farm Team. Jim & Joe's Ice out of Louisville broke the Dayton monopoly winning the seven-team 65 bracket. Universal Softball Team took runner-up honors. Third went to Chicago Classic Bobcats, followed by Ohio Silverado's, Dayton Legends 65's, Lifeguard Financial/Strategies For Success and Doc Martens/Ropes Course. 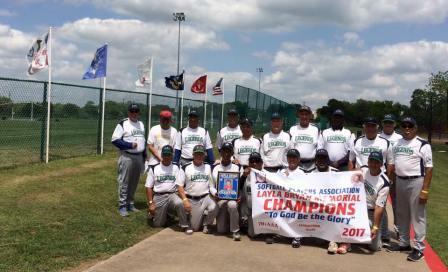 The 60's AA bracket had three teams with Dayton Legends Diamond Dawgs besting Indy Fog for the crown. McMahon-Coyne-Vitantonio was third. The 1 Undercraft Beer and Eats continued their winning ways taking the Heart of Ohio 55 AAA championship besting Antiques Road Show 18-17 and 21-16. The Antiques were second with Team Elite third and Dayton Legend 55 fourth. Rounding out the bracket were DC Connection, Windsor Chiefs and Central Illinois Chiefs. It was Brickyard Softball winning the 50 bracket followed by Circle City Playmakers, Dayton Legends 50's, Ohio Hitmen, Blacksheep and Lakeshore Contracting. 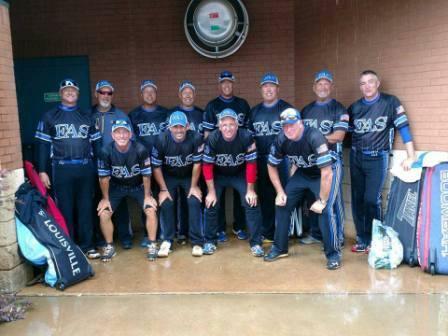 Ohio Elite A/B won the 50/55 Major title. Team Champion Real Estate, Kluver Snap on Tools, Gem City Merchants and Six Pac/Louisville Thunder finished behind the champs. "It was a great tournament," SPA director Larry Milliron said. "We had some rain which caused delays but with Astro Turf fields once the rain stopped we were back on the fields." "It was a good turnout and we are hoping for 50 teams in 2018," he concluded.